This was on sale yesterday. 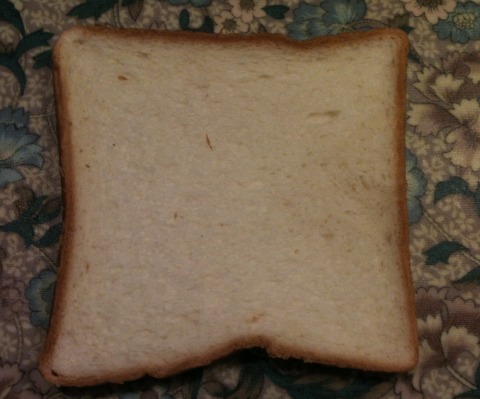 Not just any white bread, but Japanese style white bread. 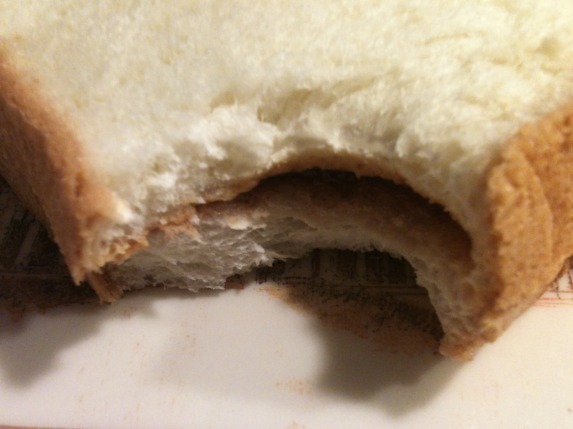 (This article kind of explains the culture of white bread in Japan: http://www.japantimes.co.jp/life/2013/09/26/food/japans-secret-love-of-a-breakfast-loaf/). Pure as the driven snow. The texture of Japanese white bread is something I do not experience with other “white bread”, not even French bread. It’s soft yet chewy, kind of comforting. 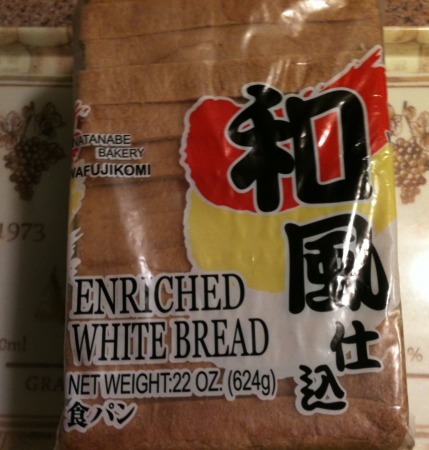 For me, Japanese white bread should not be toasted, changes the whole texture thing which I personally not a fan of. So, with all that philosophizing ,..
Peanut butter and jam! Grilled cheese comes in at a close second, but peanut butter and jam, a cup of hot chocolate or green tea, and a good book, happy times. Perfect ratio of peanut butter, jam, and bread. I may go and get two slices of cheddar cheese in the near future and make a grilled cheese sandwich. But for now, very content with the peanut butter and jam. “The good ol’ days.” Hee hee. The phone ate my pictures. Before going to work at the church, stopped in at Diamond Head Market and Grill (3158 Monsarrat Ave, Honolulu, Hawai’i) for a nosh (it’s nearby). Ordered a char siu 叉燒 pork sandwich. Thinly sliced pork, marinated in Chinese (Cantonese) BarBQ red sauce, and grilled, lettuce, tomato, onions, and mayo. One of the best sandwiches in recent memory. Perfect ratio of meat, bread, and vegetables. Both socks flew off. To add to the day of my discontent, my WordPress reader is wonky, not displaying all blogs I follow (if I missed your posts, I apologize, didn’t know). Sigh. As for the pork sandwich? One more reason for me to go back and get another one (twist my arm, go ahead). My sign would say pork belly instead of coffee (hee hee!). But, to each there own. Heading off to work soon. Enjoy. Eat well. 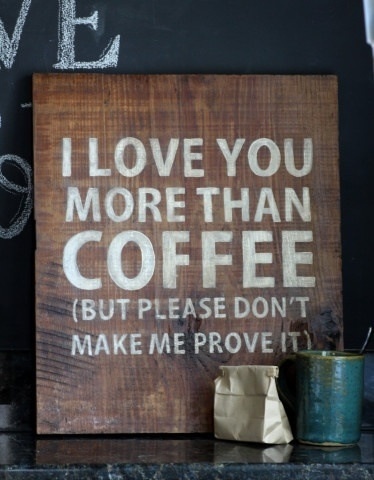 Enjoy #NationalCoffeeDay! #KeepCalm…at least try! Always was curious about this place. The building used to be apartments. It was vacant for a long time. Then it was renovated into commercial s pace and the little addition was built. Had the opportunity to go exploring around The Cat’s office the other day and I took a look see. The place did have positive reviews on Yelp. Turns out, it’s a one woman operation. The place is tiny. My guess is 200 square feet. Just enough space for a customer area, a front counter,cabinets, refrigerator, and prep space in the back. 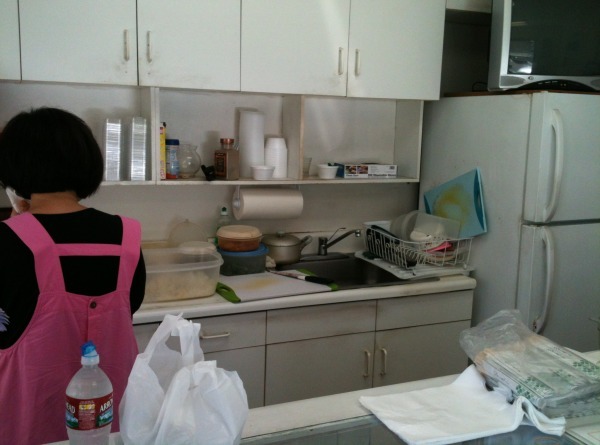 And all she offers are five varieties of Korean sushi rolls, vegetable, beef, beef and kimchee (or kimchi), tuna, and tuna and cheese (plus some canned or bottled drinks and miso soup). 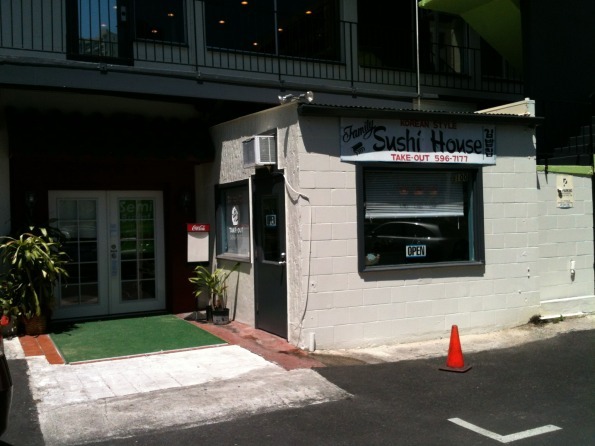 All sushi is $3.00 except for the tuna and cheese, that’s $3.50. Each roll is about eight to ten pieces. I asked if the beef and kimchee was spicy, she said not too spicy. Went with the beef and kimchee. 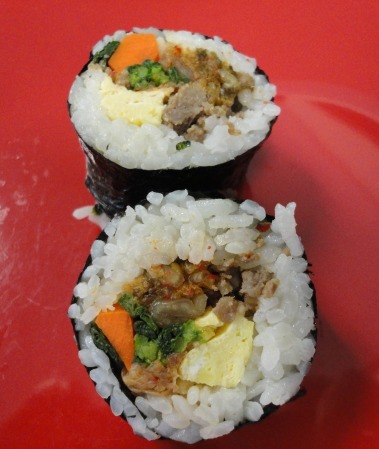 Rice, beef, kimchee, carrot, choisum, egg omelet and the seaweed wrapper. All your nutrition in one bite. 🙂 Tasty! All made when ordered. Not fast food, but fresh and worth the wait. Definitely worth a revisit. I’d like to try all of the varieties except for maybe the tuna and cheese, that combo (except for tuna melt) never really hit it off for me.